There’s just something about balloons. As much as I try to hate them or try to convince myself that they have past their prime, they always seem to do something that makes me fall for them all over again. (Yep, still talking about balloons here). They add the perfect touch to a birthday party and seem to make photos so much more fun. There are SO many fun ways to elevate (no pun intended) them and make them a bit more fancy or fun. Today, I’m sharing a really easy and quick way to add a bit of personality to them by adding a DIY balloon garland! And the best part…? 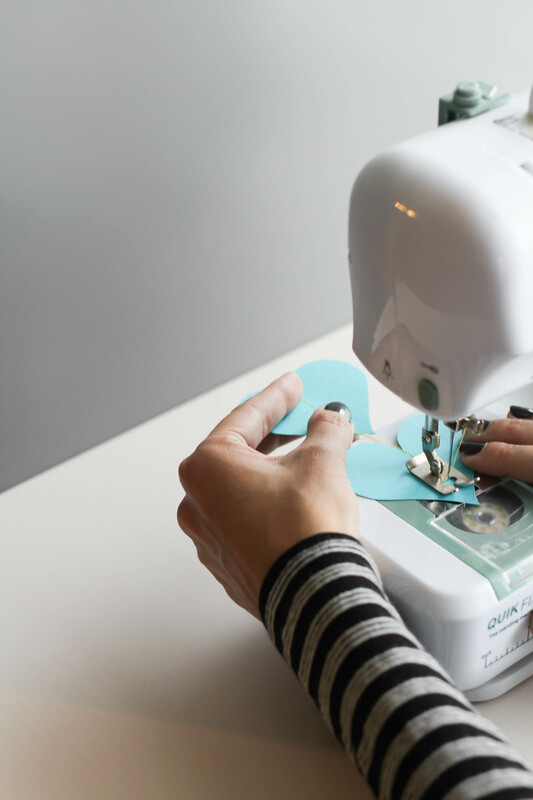 All you need to pull it off is a sewing machine! 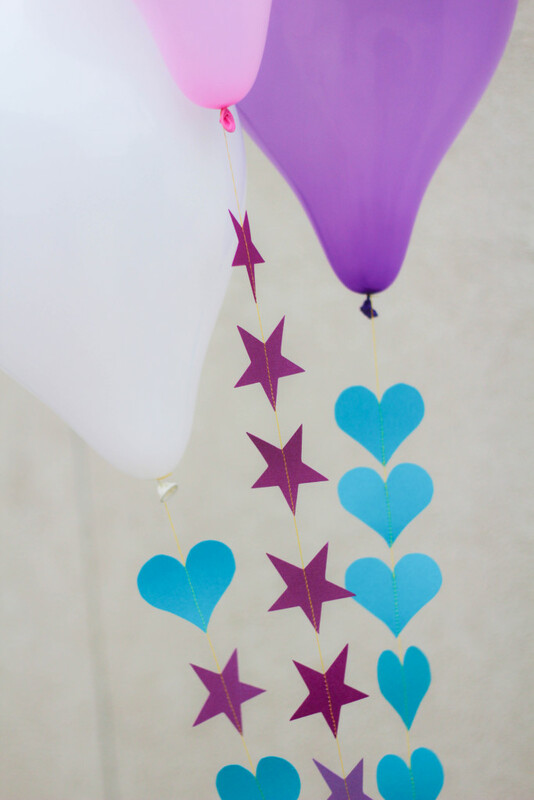 I chose to go with hearts and stars for these DIY balloon garlands, but you could easily use any shape, letter, or number that fits your theme or event. 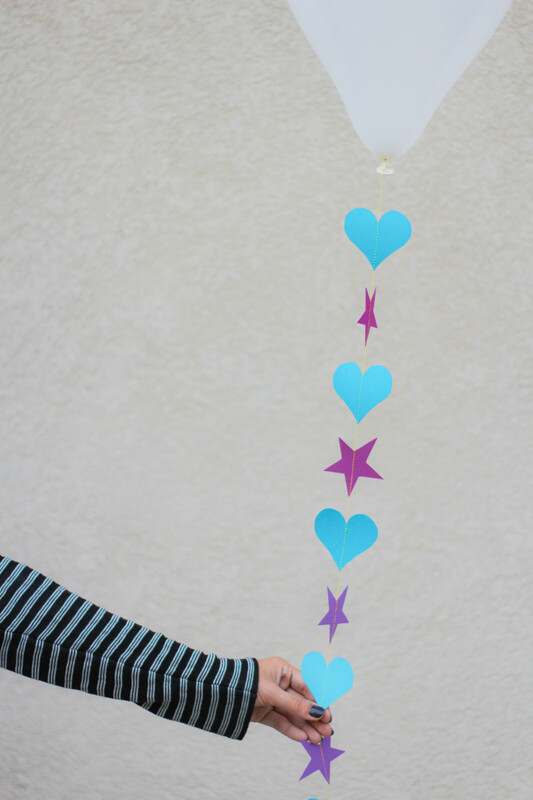 Numbers would be perfect for a fun birthday balloon! I used my handy little Cricut machine to save myself time and cut out the shapes that I needed. If you don’t have a Cricut, you could trace and cut them out by hand as well. I used three different shades of paper and cut out 2″ shapes. 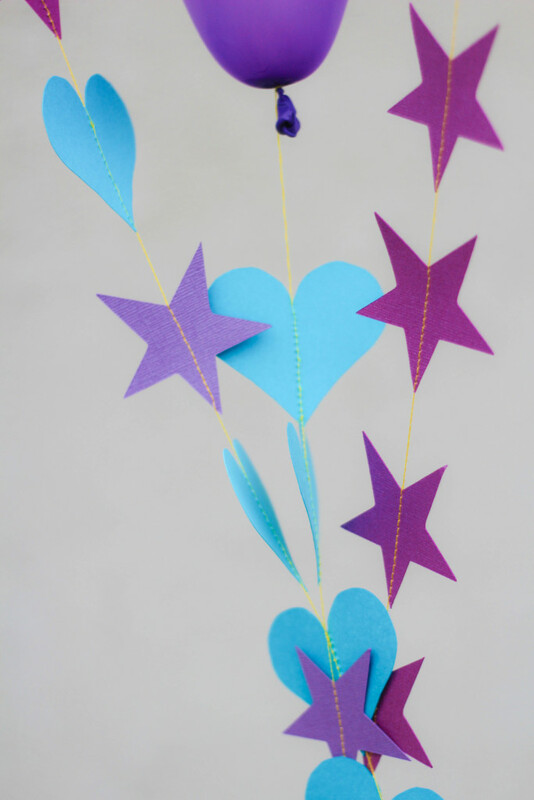 Next up, use your sewing machine to create the actual garland. 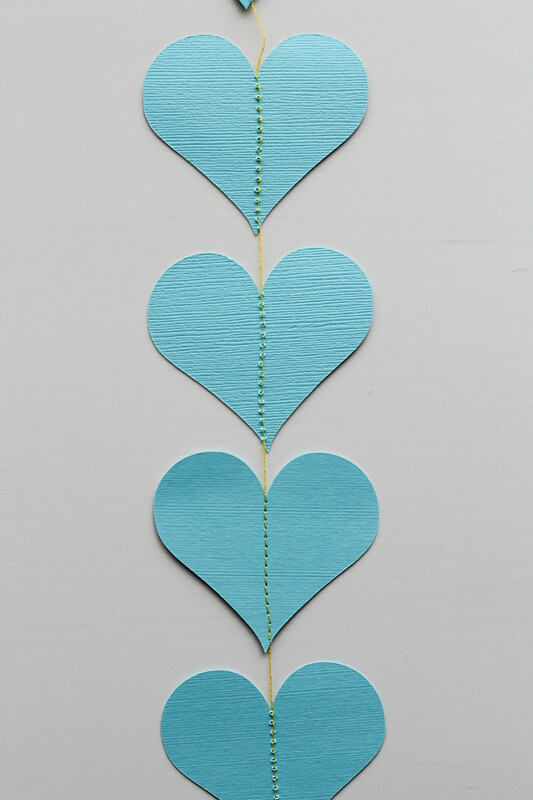 Pull out and leave a good amount of string at the top, before sewing your first cut out. This will be what you use to tie the strand to your balloon. 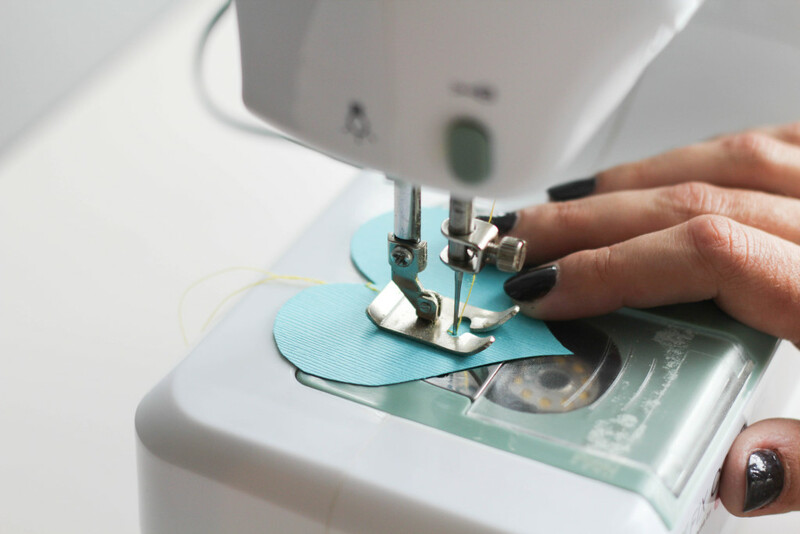 Feed each little cut out through the sewing machine, lining it up down the center of each piece to ensure everything is even when your strand is finished. Once you’ve sewn through the first piece, leave a small section of string loose before sewing the next piece onto the strand. This will leave a pretty little gap between each piece. (You could also omit the gap if you want a very full garland). 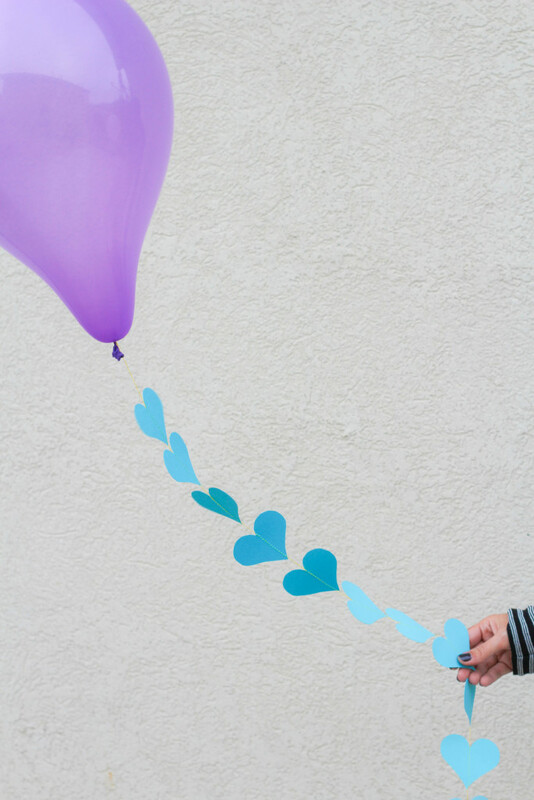 Keep up the process until you have a garland long enough for your balloon. (I ended up using about 15 cut out’s to create my strand). Once you have the length you want, pull out a bit of extra string at the bottom too. Then tie a knot above the first cut out and below the last cut out. This will keep those babies snug on the line! 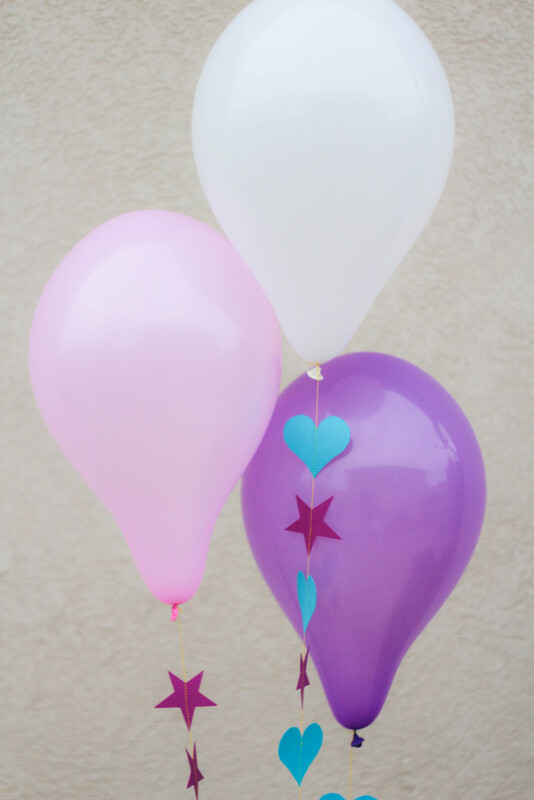 I used regular balloons for these guys, but you could use the really big 36″ balloons too. Just use larger cut outs. 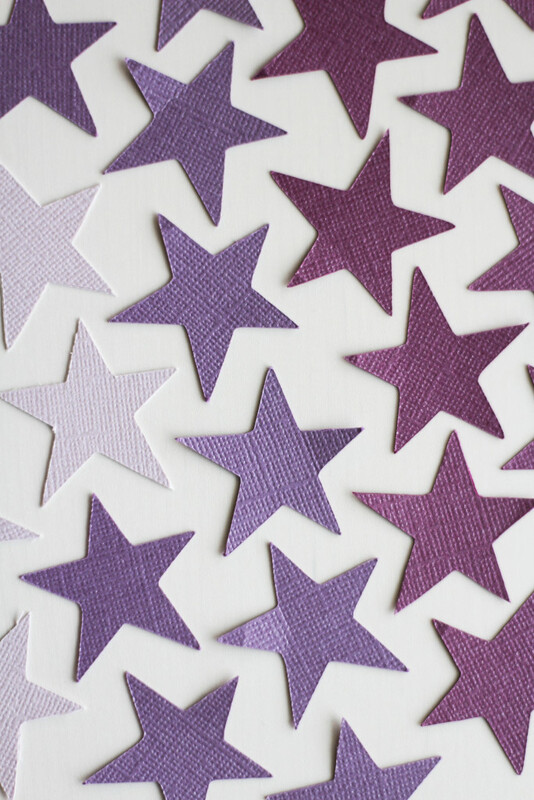 This project is actually really easy to do, but looks like it took forever to make! 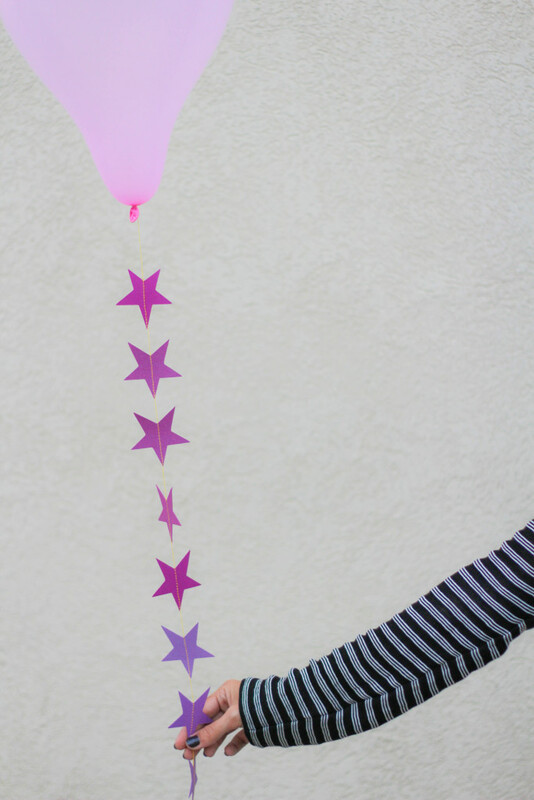 You could easily whip up a number of these DIY balloon garlands in one afternoon and really add a wow factor to a basic balloon and your party!